To most safety professionals the process of assessing workplace risk involves hazard analysis: hazard identification, selection of controls, and audit to assure the controls are in place and adequate, etc. In fact, in the latest edition of On The Practice Of Safety, by Fred Manuelle, when I was scanning the index for “risk assessment” content it refers you to “hazard analysis”. So what’s the big deal and what does this have to do with human performance? Let’s discuss. As Manuelle points out, a hazard is defined by its potential to do harm. Most of us agree that elevated work platforms, confined spaces, work with chemicals, power tools, etc. all could be hazardous due to their inherent potential to cause harm. Through the hazard analysis process we study whether the hazard can be avoided, eliminated, or otherwise controlled. There’s no doubt that hazards are most economically controlled through the initial design stage, but all too often we face hazards that already exist. Here is where the hazard analysis intersects with risk assessment. As I was writing this, I began to get way too technical and wrapped around the axle, as they say. Rather than provide a very technical post, here’s what I want to convey. Human beings error all the time and make mistakes. So, when we conduct any type of risk assessment we need to make sure that the controls we assign recognize the high probability of human error. Listing procedural training and PPE as appropriate controls based on the level of risk can be perfectly acceptable. However, what errors or mistakes are likely? To get at the answer we need to eliminate our biases about behavior. People make mistakes of memory, perception, technique, attention, knowledge and all sort of other types. As we assess the appropriateness of training and PPE, what should be done to assure that the prescribed procedures and precautions are taken, and that the PPE is adequate? What other controls may be needed to assure these are adequate? what roles do other employees and the supervisor play in assuring control? Fact: Training is an inadequate control for medium to high risk exposures. People often forget or alter procedures when in the moment. This is not done, as some think, to take a short cut or laziness. It is to be more efficient, get the job done, and to look good in the eyes of the supervisor and others. It also happens because of common cognitive bias. We develop overconfidence bias and over-estimate that nothing bad will happen. And we develop confirmation bias based on the evidence that when we have done a particular task a given way and nothing bad happened that nothing bad will happen now! Some say that these are due to complacency, but I think that’s too easy an answer. The answer does not lie in a behavior-based safety approach, though observations help. The answer is derived through how you reinforce the training message, practice the process or technique, discuss how the job is to be done, and have real conversation about the work. This takes work to achieve, since most of us have been focused on compliance type training. Compliance is easy to determine; either you’re in compliance or you are not. Assessing whether a given procedure is followed properly on an ongoing basis requires a different approach. We need to engage our workers in conversation about the job. Not just the safety aspects of the job, but how the job is done and the obstacles faced. It is as we listen, gain understanding and then trust that we can begin to see the entire picture. We can begin to see where procedures are altered and additional risk is taken. 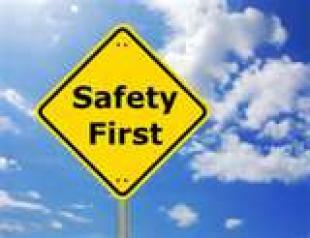 Safety can have a much higher level of meaning when discussed through conversation. But that is the tough part as we get supervisors to work at gaining the trust of their workers, and vice versa. The bottom line is simple. When hazard awareness and adherence to proper procedure are the basis for controlling medium to high risk exposures ,we need to work ten times harder to make sure the message is understood and actually put into practice. This is why it is always better to engineer out the hazard. Avoid, eliminate, or substitute first. Whenever we must rely on the individual to take an action or follow a specific safety procedure the risk of something going wrong is much higher. Think twice about your safety training program. What are you doing to assure the message is being heard and put into practice?